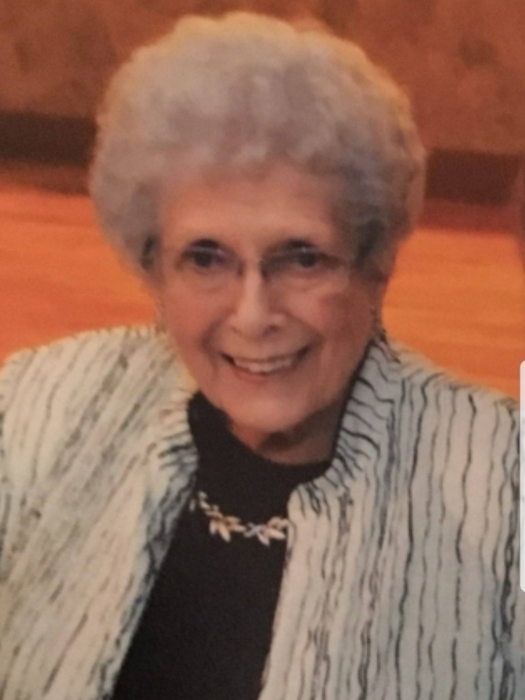 Betty Widner, 89, of Saint Marys, died 10:17 P.M. Tuesday, January 15, 2019, at Joint Township District Memorial Hospital. She was born May 17, 1929, in Saint Marys, the daughter of Francis and Ruth (Howell) Byrne. She married James Widner on December 4, 1948; he preceded her in death on April 15, 1998. She is survived by her children: Dr. Dane (Cindy) Widner of Saint Marys; Kay (Ted) Kuck of Saint Marys. She is survived by her 7 grandchildren: Keri (Kurt) Oberle; Karl (Abi) Kuck; Lindsey (Bryan) Gilbert; Stuart (Abby) Kuck; Abby (Andy) Nicholson; Mariette (PJ) Keating; Lauren (Aaron) Boehme. She is also survived by her 15 great- grandchildren, and by a sister-in-law, Mary Kuck of New Bremen. She was preceded in death by her parents and by her husband, Jim. Betty was a 1947 graduate of Saint Marys Memorial High School. She retired from Bank One Corp, where she served as Assistant Bank Manager and Loan Officer. She was a member of Hillsdale Baptist Church in Saint Marys. Betty enjoyed knitting, reading, traveling and spending time with her grandchildren. Funeral rites will be held 11:00 A.M. Saturday, January 19, 2019, in the Meyer Chapel on the campus of Otterbein Saint Marys Retirement Community, Pastor Bruce McDaniel, officiant. Burial will follow at Elm Grove Cemetery. Friends may call from 9:30-11:00 A.M. Saturday at Otterbein Saint Marys, where memorial gifts may be given to the Otterbein Saint Marys Benevolent Fund.